There are tens of thousands of hotels and motels throughout the world that offer some form of free WiFi Internet access to the public and guests. Hotels that offer free WiFi in their guest rooms of course require you to be a registered guest. Some hotels offer free WiFi in common areas such as the lobby, pool area, restaurant, bar and meeting rooms. The use in these areas is commonly restricted to guests but sometimes they may make the wireless access available to non-guests as well. Below is a list of popular hotels that offer free WiFi. Click on the hotel to see a list by city and state. Do you know more hotels with free wireless? AmeriSuites by Hyatt - AmeriSuites hotels offer guests a large, attractive studio suites are appointed with amenities such as kitchens, free hot breakfast, free high-speed wired and wireless Internet access and a business center. Durry Hotels - Check email or surf the web, fax anywhere in the continental United States, copy important documents or print that proposal for your morning meeting! All 24-hour business centers include a computer, fax, copier, printer and wireless Internet access. Hilton Garden Inns - With WiFi throught all Hilton Garden Inn hotels, plus secure remote printing from anywhere in the hotel to the business center - all complimentary - Hilton Garden Inns will help you stay connected during your stay. Holiday Inn / Holiday Inn Express - Free high-speed Internet access in the U.S. & Canada. These low-budget hotels are tried and true when it comes to free WiFi. Many of these budget hotels are newly constructed, small, low lying structures, which means outfitting the property with a wireless network is not a difficult task. Holiday Inn Express alos provides reliable free wireless network year in and year out. Homewood Suites by Hilton - To help our guests stay connected and productive while on the road, Homewood Suites by Hilton offers complimentary high-speed internet access at all locations in guest suites, wireless access in the Lodge, an area off the main lobby, and in each hotel’s business center. Econo Lodges - All Econo Lodge hotels offer free Wi-Fi Internet hot spots in guest rooms, lobbies, public areas and meetings rooms. Embassy Suites Hotels - Embassy Suites Hotels offer both business and leisure guests complimentary high-speed Internet access is in every suite and free wireless Internet access in atrium spaces. Many but not all guest rooms have complimentary wifi in them just yet but its planned soon. 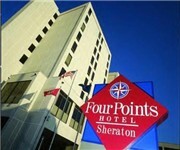 Four Points by Sheraton - With free high-speed Internet access (HSIA) now available in most Four Points by Sheraton guestrooms in the United States and Canada, guests can stay connected anywhere they go - without the hassle of wires. In addition to free high-speed Internet access in guestrooms, many Four Points by Sheraton properties feature wireless Internet access in lobbies and wired high-speed Internet access in meeting rooms. Hawthorn Suites by Wyndham - Hawthorn Suites hotels offer free cable and wireless Internet, and other services to keep you connected while on the road. Hawthorn Suites include a desk with ergonomic chair, complimentary daily newspaper and business services such as personal voice mail. 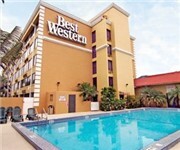 Best Western Hotels - At Best Western hotels in North America high-speed Internet both wired and wireless is always free both in the guest rooms and in most public spaces. Cambria Suites - With sophisticated technology such as digital televisions, MediaHub technology and free WiFi internet access. And other functions on your lifestyle, how a state-of-the-art fitness center, indoor pool and spa. Candlewood Suites by InterContinental Hotel Group - Sometimes, our guests of the suite as a temporary use in the office and a home. Therefore, we have hotel suites, with amenities such as free local calls and two phone lines with data port. And now, Candlewood Suites offers high-speed Internet access. Absolutely free. Courtyard Marriots - The budget brand from Marriott has long offered free WiFi in their lobbies, but we never found hanging out in a Courtyard by Marriott lobby to be particularly awesome — until this year, that is. Courtyard has introduced these ultra-modern new Media Pod booths with flat-screen TVs and plug panels. Having a meal, a glass of wine and our fave TV show in front of us as we work is just about as good as it gets. Comfort Inns / Comfort Suites Hotel - Most Comfort Inn hotels includes business travel services such as free high-speed wireless Internet access. Hampton Inns by Hilton - Whether you are sending a meeting recap or a weekend recap you can stay connected at Hampton with our free high-speed internet. Hampton Inns free high speed WiFI internet access in all guest rooms, lobbies and meeting rooms. Hotel Indigo - Hotel Indigo came onto the scene a few years ago, but it wasn't until last year that a significant number of Indigos came online — and we do mean literally online — with free WiFi in guestrooms. The boutique brand from Intercontinental Hotels strives to make the hotel stay a more personal, comfortable experience, and with free WiFi in the rooms, it's almost like we're at home. 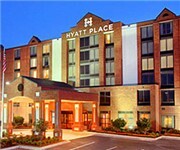 Hyatt Place Hotels - Hyatt Place is Hyatt's budget boutique hotel brand, with free WiFi. Recommendations at Hyatt Place for the tech-dependent set? Plug-panels in the rooms allows you to you all your media - laptops, DVD players, MP3 and gaming systems - directly to the 42-flat-screen HDTV. Springhill Suites by Marriott - Work smarter -- not harder -- at in-room workstations that feature ergonomic desks and chairs, plus phone lines with data ports and voicemail. Make a connection with FREE WiFi in the lobby and FREE wired Internet in all hotel suites. Staybridge Suites - Get connected and stay productive while on the road with Wireless Anywhere, a free Internet access throughout the entire hotel. Wired high-speed available in every suite. 24-Hour Business Center with computers, laser printing, and Internet access. Hyatt Summerfield Suites Hotels - Being away doesn’t mean being out of touch. Hyatt Summerfield Suites allows you to connect with more people more often with our free high-speed wired and WiFi Internet in your room. Marriott Residence Inns - Marriott Residence is so proud of their WiFi that according to their terms they would even bring you a wireless bridge if your in-room signal was low. Most Residence Inns also come with free WiFi in the lobby, and they cater to business travelers and guests staying for the long stay as well. Omni Hotels - Most Omni properties charge a fee for WiFi access; however, signing up for the Omni Select Guest loyalty program — which is free to do — earns you complimentary WiFi at all levels. Quality Inn and Suites - Quality Inn and Suites like most Choice Hotels provide guests with free wired and wireless high speed internet access and local calls. 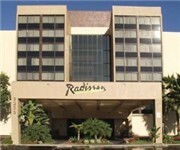 Radisson Hotels - Radisson Hotels & Resorts in North America offer free high-speed Internet access. "We want our guests the possibility, as when traveling, as they are in their office or at home. Radisson Hotels in North America have free high-speed Internet access in the room." In addition, guests have the opportunity to print documents and are fetching in the printing station of the hotel, or select the documents delivered to their room at their convenience. Most Radisson hotels in the United States and Canada offer free broadband access in guest rooms. Rodeway Inns - Some Rodeway Inns by Choice Hotels offer free wireless internet in addition to free local calls and long distance access. See which Rodeway Inns provide complimentary wifi at this time. Sleep Inn and Suites - Free high speed internet access in all public areas and free wifi in guest rooms. La Quinta Inn & Suites - Whether you're traveling on business, a leisure getaway, or a family vacation, La Quinta has the right hotel accommodations for you. Take advantage of free internet access, both wired and wireless in all guest rooms and lobbies. MainStay Suites by Choice Hotels - All MainStay Suites provide guests with free wired and wireless high speed internet access and local calls. Super 8 Hotels by Wyndham - Most Super 8 Hotels provide property wide WiFi and dataport phones in their guest rooms. Wingate Inns by Wyndham - At Wingate by Wyndham, you know that we mean business. Therefore we are obliged to furnish your stay with us as pleasant and efficient as possible. Each hotel offers valuable amenities at no extra cost to you, including free WiFi Internet access offered in all public spaces and guest rooms. Four Seasons Hotels and Resorts - The Four Seasons Resort, long known for pampering guests with Jack Nicklaus golf courses and French buffets, hopes to spoil business travelers with its newest luxury: wireless Internet access. The Toronto-based hotel chain completed installation of WiFi Internet access based on the 802.11b specification in all conference rooms, lobbies and open areas of 56 luxury resorts worldwide. The Four Seasons' WiFi launch comes as the tourism industry--and even the broader service industry--rushes to embrace wireless technology. "When guests filled out comment cards, one of the first things they'd request was better Internet connectivity," said Eric Benchetrit, assistant director of management information systems at the Four Seasons Aviara in Carlsbad, Calif., one of the first Four Seasons to provide WiFi. "Lots of our guests come from the snow and they want to relax in the sun--but they've got to work. Now they can sit at the pool and send e-mail to the office." Gansevoort Hotels - Both the Hotel Gansevoort South in Mimai Florida and Hotel Gansevoort in New York City offer free high-speed wifi access in all public spaces such as the lobby and pool areas as well as free wifi in all guest rooms. JDV (Joie de Vivre) Hotels - The majority of Joie de Vivre's properties offer free WiFi in the public areas and guestrooms. But for the few holdouts that still charge, all members of the Joy of Life Club (JDV's loyalty program) get complimentary internet access, regardless of status level. Most JDV hotels can be found in California on and around the bay area of San Francisco. Hotels include Citizen Hotel, Galleria Park Hotel, Domaine Hotel and Petite Auberge. Kimpton Hotels - Whether conducting business or touching base with the family, easy and immediate access to the Internet has become a must-have for travelers. Kimpton Hotels takes out the cords and wires and guesswork, offering high-speed Internet access at all of our hotels. Even if you can't program a VCR, you can sign on at Kimpton Hotels. (Complimentary WiFi service is available in all hotel guestrooms except in New York City in-room WiFi is complimentary only for members of our Kimpton InTouch loyalty program. InTouch is a free program with no minimum stays per year.) In addition the Kimpton hotel staff goes above and beyond the call of duty to make sure you can get online in your room. W Hotels - Although most W Hotels charge for WiFi in their guest rooms, we thought we would include W Hotels in our list since they do make free wifi available in must public areas of the hotel including all lounge and dining facilities at the hotel. Some W Hotels require a password to get connected but just ask the staff, they will provide it for you regardless if you are a hotel guest or not. Some of the newer W Hotels such as W Hotel Seattle and W Hotel Hobooken offer free wifi in their guestrooms. See a list of cheap budget hotels that offer free WiFi at Budget Bellhop. See a list of bed and breakfast inns that offer free WiFi Select Bed and Breakfasts.